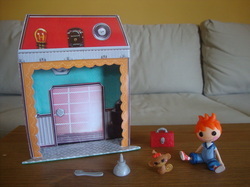 Mini Lalaloopsy are miniature figures and accessories that can be played with much like a doll's house miniature. The figures are based on the larger Lalaloopsy dolls each again coming with a smaller version of the same pet but this time including other accessories and items specific to their rag doll personality. 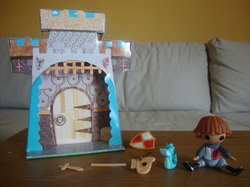 Larger play sets are available including furniture, vehicles, and buildings.